A Traveler’s Guide To Historical Notary Sites In The U.S.
Have you ever wanted to learn more about how Notaries helped influence history? In honor of Notary Public Day (Friday, Nov. 7), here’s a traveller’s guide to some destinations you can visit featuring Notaries who played a part in shaping the history of the United States from the American Revolution to the 20th Century. 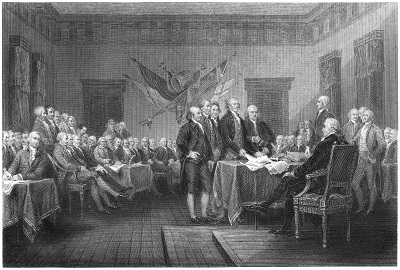 The Declaration of Independence, the original document that helped light the spark of the American Revolution, is on display at the National Archives Building in Washington, D.C. If you get a chance to visit, look closely for the signature “Thomas McKean.” McKean, the last person to sign the Declaration of Independence, was a prominent lawyer and Notary during the Colonial era. Texas is famous for its larger than life characters, and that goes for its Notaries as well. 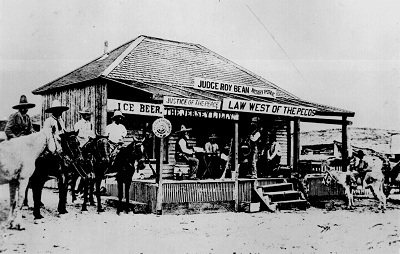 Visitors to the Lone Star State can stop by the Judge Roy Bean Visitor Center on Highway 90, to learn about one of the Wild West’s most colorful Notaries. Bean served as a barkeep, justice and Notary in the late 1800s. Among other things, he was famous for holding legal hearings in his saloon, the Jersey Lilly, and requiring jury members to buy drinks during each court recess! Visitors can see the original Jersey Lilly saloon where Bean conducted court in his heyday at the Center. Famous writer, journalist and riverboat pilot Mark Twain held many different jobs in his life — including a stint as a Notary in Nevada. At the Mark Twain Museum in Virginia City, you can visit the office where he worked as a journalist for a local newspaper and see the original furnishings and press equipment. 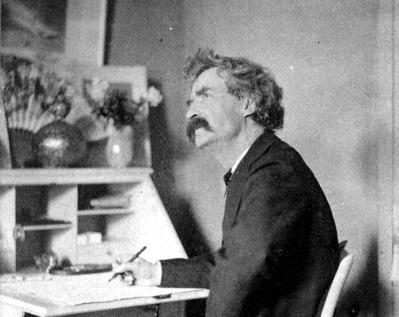 According to popular legend, Twain’s articles upset a local resident enough to challenge Twain to a duel, forcing the author to leave town in a hurry! 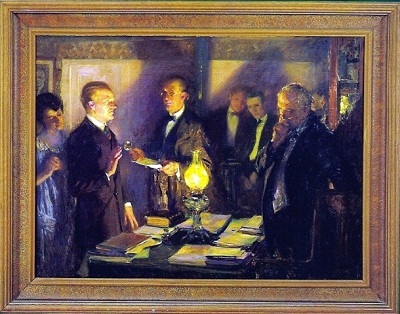 Calvin Coolidge was the only U.S. President to be sworn into office by a Notary — his own father. The Calvin Coolidge Homestead in Plymouth Notch, Vermont, is now a state historical site where visitors can see firsthand the home where then-Vice President Calvin Coolidge took the Oath of Office before his father, John Calvin Coolidge Senior, after being notified of the death of President Warren Harding in 1923. NNA members can read more about famous Notaries from history in the article "A Celebration Of The American Notary" in the July 2011 issue of The National Notary magazine, available online here. Do you know a historical site in your area that features Notary history? Tell us about it in the comments section below. Hello William, You may want to try contacting the State Archives of North Dakota for assistance. Their website is http://history.nd.gov/archives/. 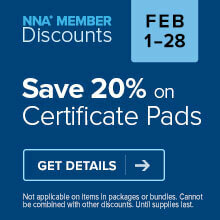 im so proud to be part of the notary association and what it represents,. Hi Cherie. If you are moving to Texas, you will need to resign your CA commission and apply for a new commission in Texas. Texas does not require Notary applicants to take a course or test, though educational material is available through the state. You can find more information at the TX Secretary of State's website: http://www.sos.state.tx.us/statdoc/index.shtml or you can contact the NNA's Customer Care team for help applying for a Texas commission at 1-800-876-6827.